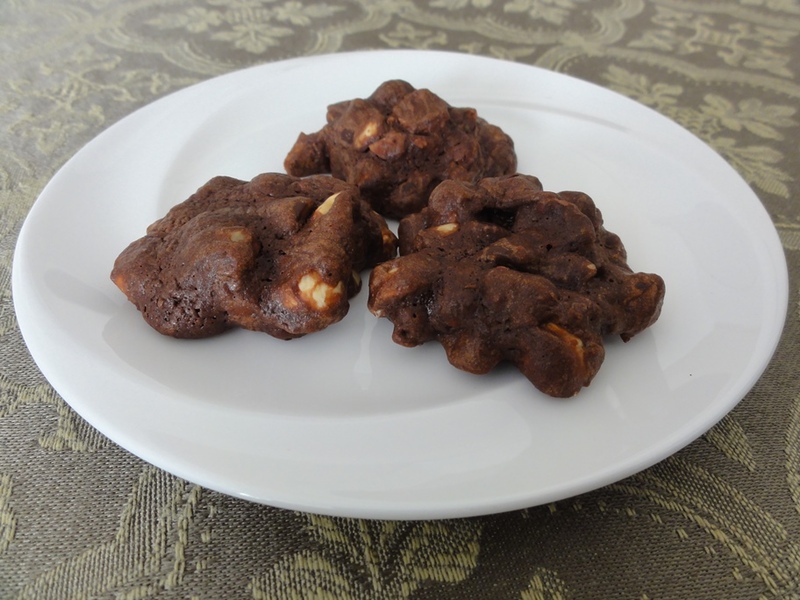 It’s about time I posted up my favorite cookie recipe, which comes from Ellen Brown’s book, “Gluten-Free Christmas Cookies“. There are a lot of reasons these cookies are my favorite. First of all there’s the obvious “triple chocolate” part which implies that they are amazing, and they live up to this wholeheartedly. On texture they’re very similar to the Chocolate Brownie Cookies and thus similarly walk that great line between cookie and brownie. 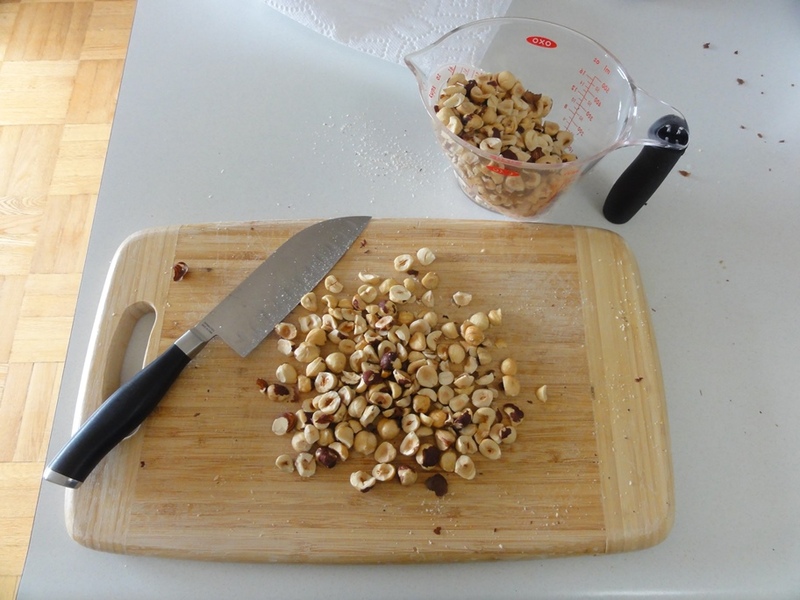 I don’t chop the hazelnuts particularly finely so you get a lot of satisfying crunch, and the chocolate flavor lingers so they are very satisfying. There’s plenty to love just in that one step. My first reaction was: “How big is a lima bean?”, followed closely by: “Why a lima bean?”, and “Would a kidney bean work?”. 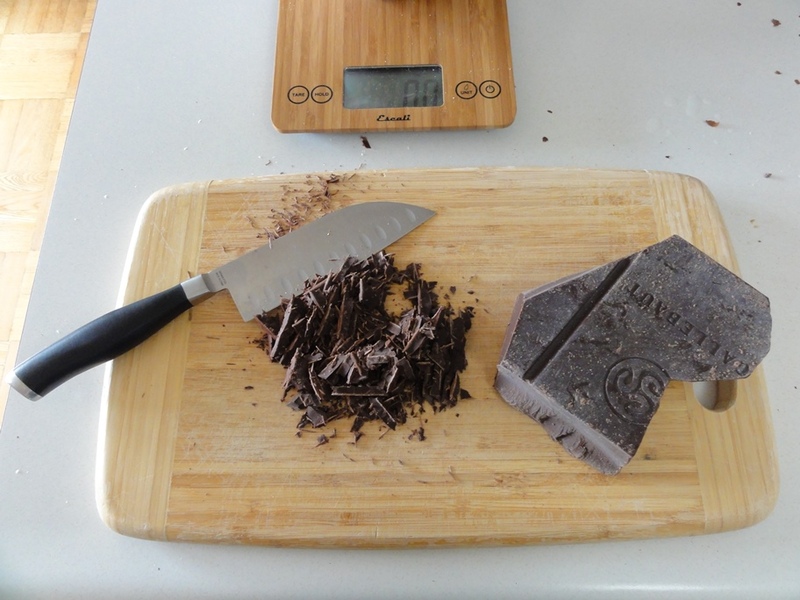 Then there’s the wonderfully stress-relieving activity of smashing a block of chocolate apart with a skillet. How could you not want to make these cookies after reading that? 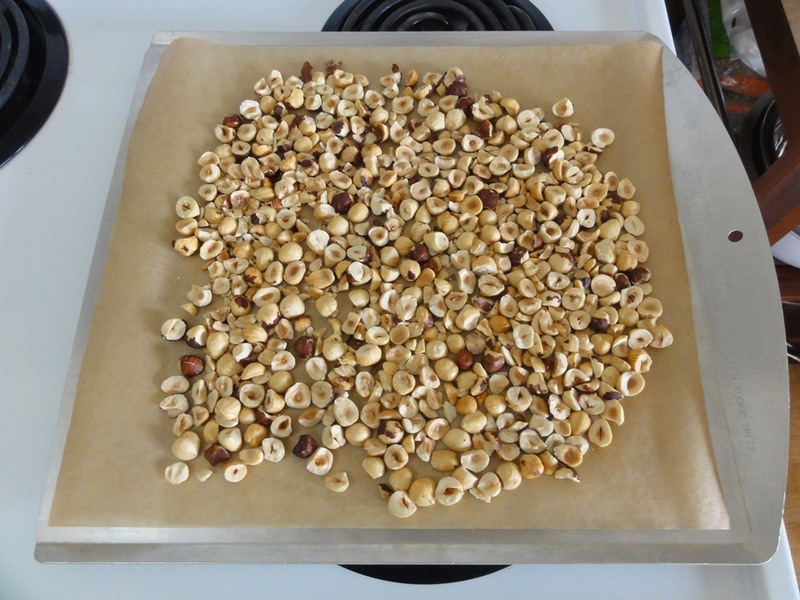 Preheat oven to 350°F and toast chopped hazelnuts on a baking sheet lined with parchment paper for 5 to 7 minutes. Melt butter and 4 oz chopped chocolate in a heavy saucepan over low heat, stirring frequently until the mixture is melted and smooth. Remove the pan from the heat and set aside to cool. 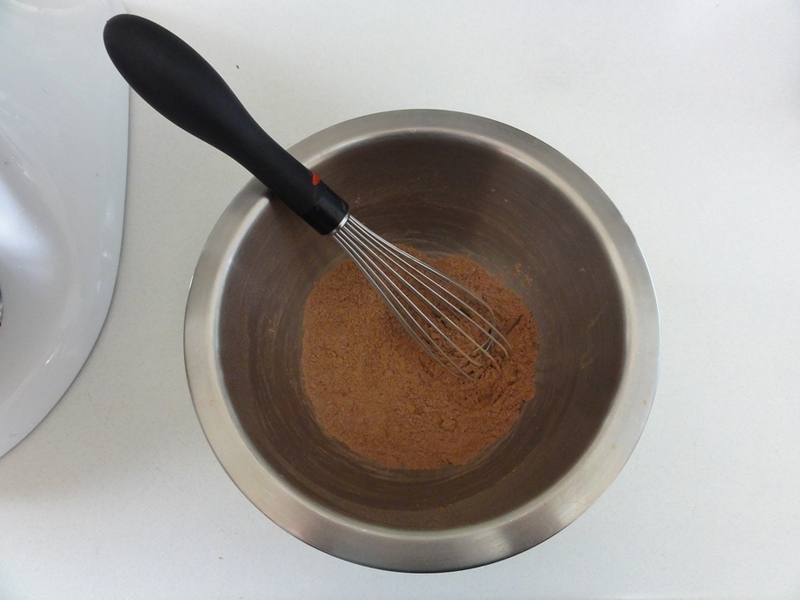 Combine flour, cocoa, cornstarch, baking powder, xanthan gum, and salt in a mixing bowl. Whisk until well combined. 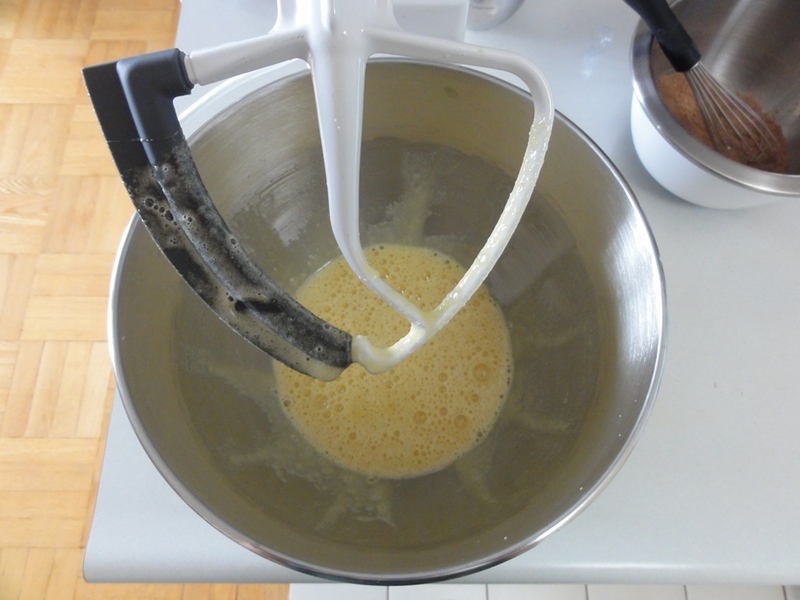 Combine eggs, sugar, liquor, and vanilla in a mixing bowl, and beat at high speed for 1 minute. 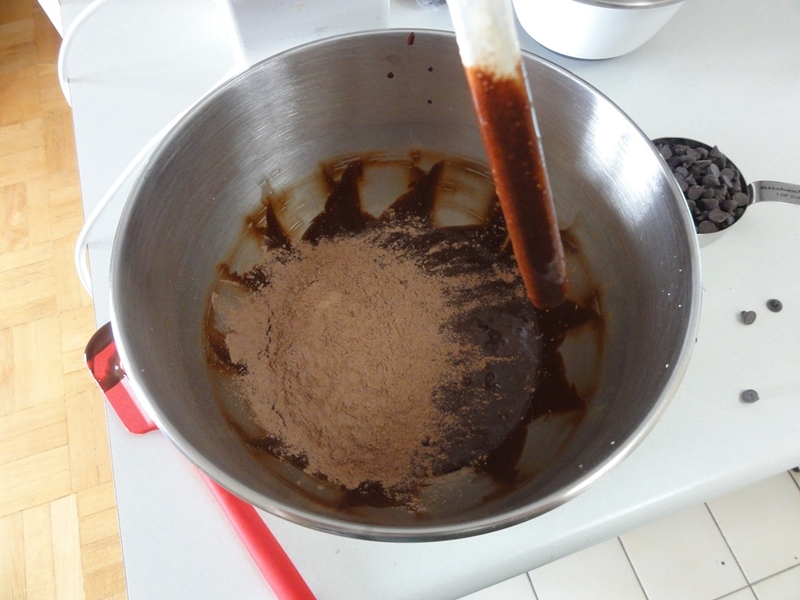 Pour in the cooled chocolate mixture and beat at low speed until well combined, and then add the dry ingredients and keep beating on low until well combined again. 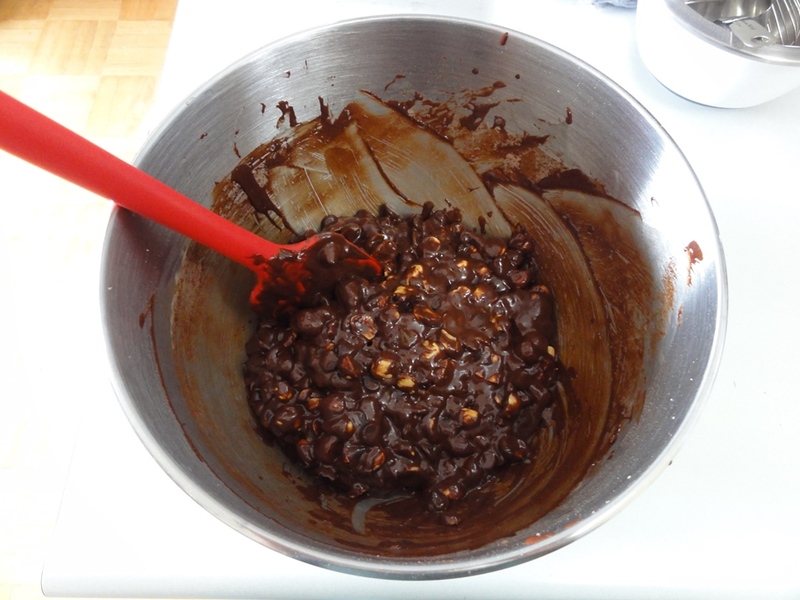 Fold in the nuts and chocolate chips. Drop tablespoon portions onto lined baking sheets. Bake for 10 to 12 minutes, or until tops are dry. Cool on baking sheets for 2 minutes, and then transfer to cooling racks. 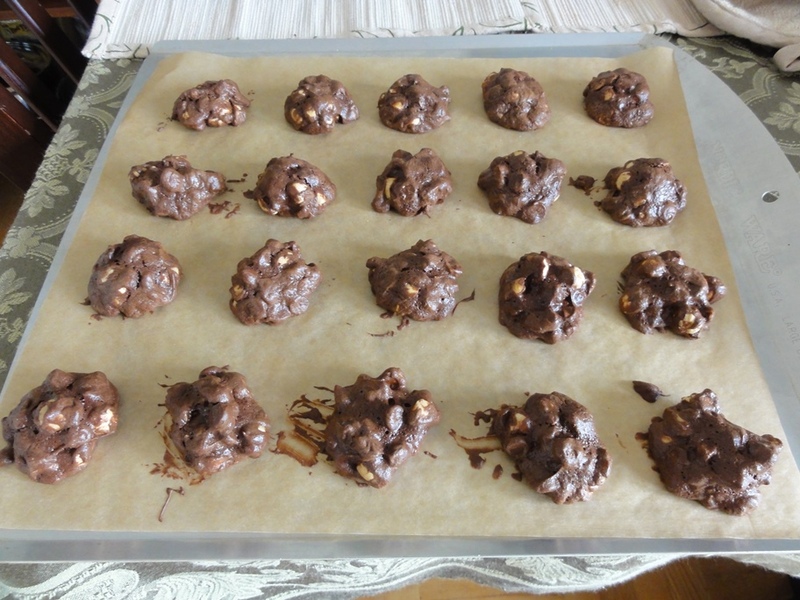 The liquor in the recipe is entirely optional, and having made these cookies several times without it I can say they are still wonderful. They are just that little bit more amazing with it; the original recipe called for Frangelico, but I’ve also tried Godiva and Kahlua to great success. 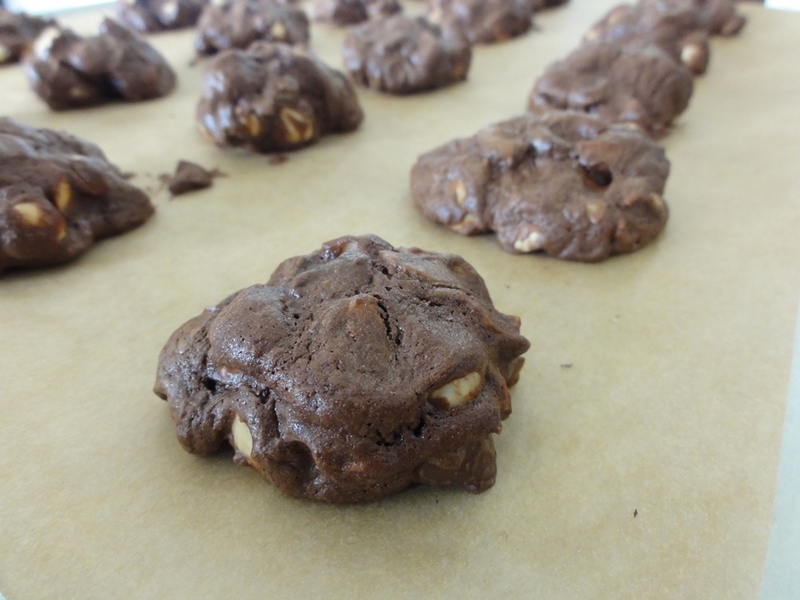 The original recipe also suggests adding 1 tbsp of instant espresso powder for mocha cookies, or adding 1/2 tsp of cinnamon, or swapping the chocolate chips at the end for white chocolate chips. Despite having made these cookies easily a dozen times, I have not tried any of these ideas, but all of them sound great! If you happen to have a 1/8 tsp measuring spoon, or are good at eyeballing that much in a 1/4 tsp spoon, I can attest to this recipe being successful when cut in half if you want a small batch of cookies entirely for yourself. I have no shame in admitting that I have done this; they’re worth it! The reason for the long preparation time with this recipe is the time it takes to chop up the hazelnuts and the chocolate. Once you’re past that step the recipe cruises along. As with nearly every recipe I’ve used that involve nuts they get toasted in the oven for a few minutes first. 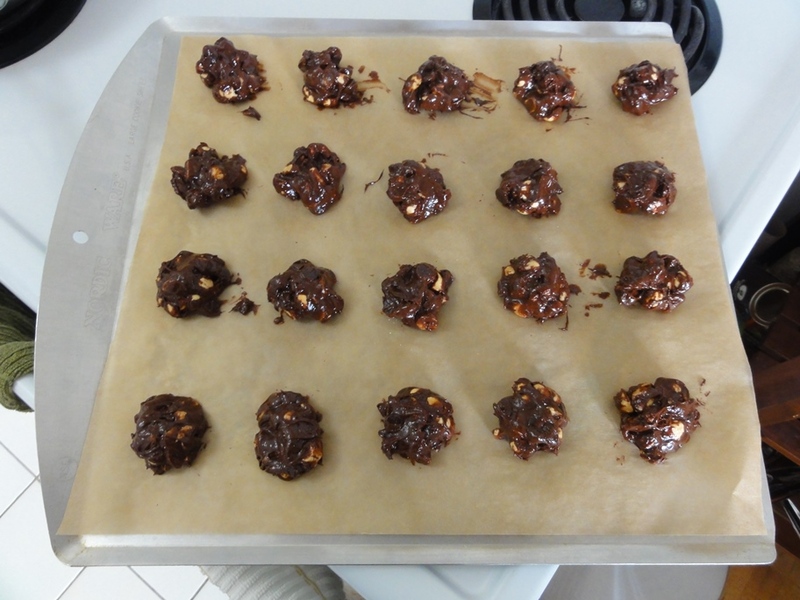 Eventually I will have posted a recipe up here with every kind of nut I bake with (I’m close already) and I won’t bother taking a picture anymore, I’ll just reuse an existing one! 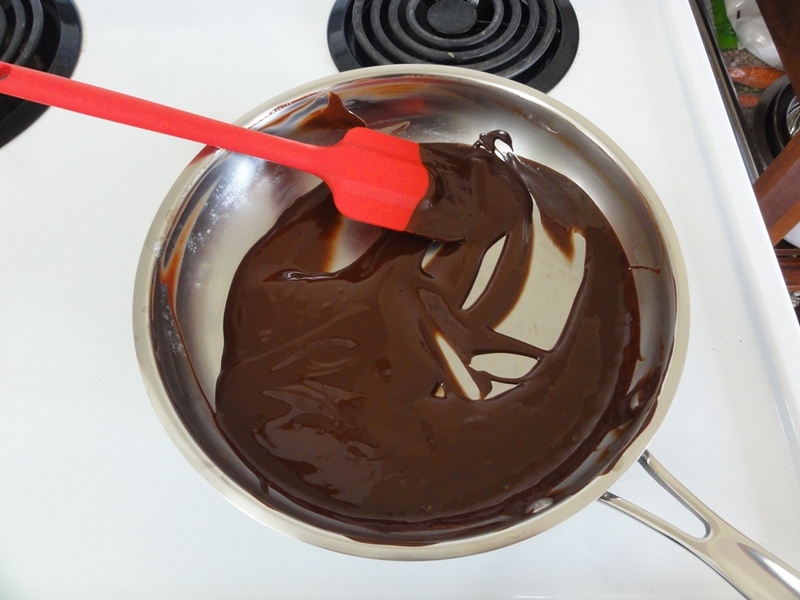 I’ve found that melting the butter completely before you add the chopped chocolate is a very successful approach to getting that nice and smooth result you’re looking for in just a couple of minutes of stirring. There seems to be less chance of burning the chocolate because the chocolate isn’t over the heat for very long. 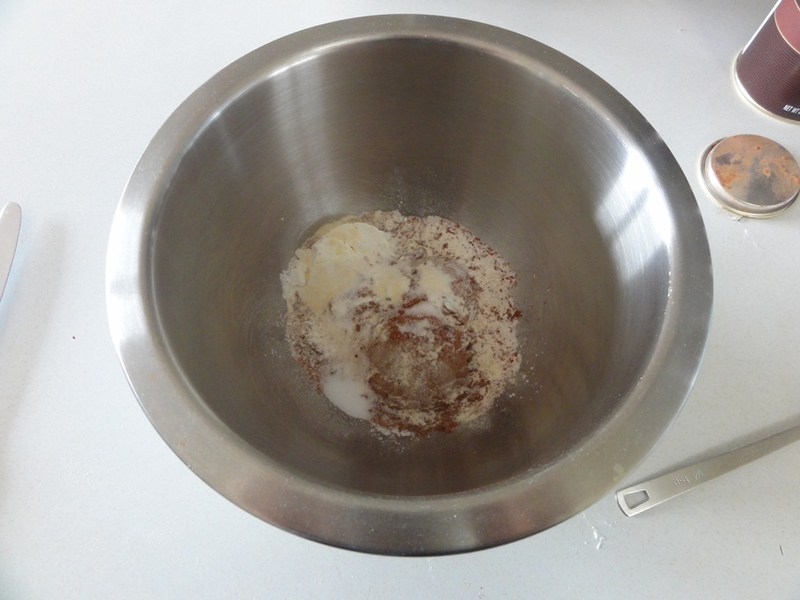 It’s always a good idea to pre-mix your dry ingredients, but especially so with the half-dozen different things involved here and some of them in very small quantities. Your beaten eggs, sugar, vanilla, and liquor should look something like this; in a word: “bubbly”. 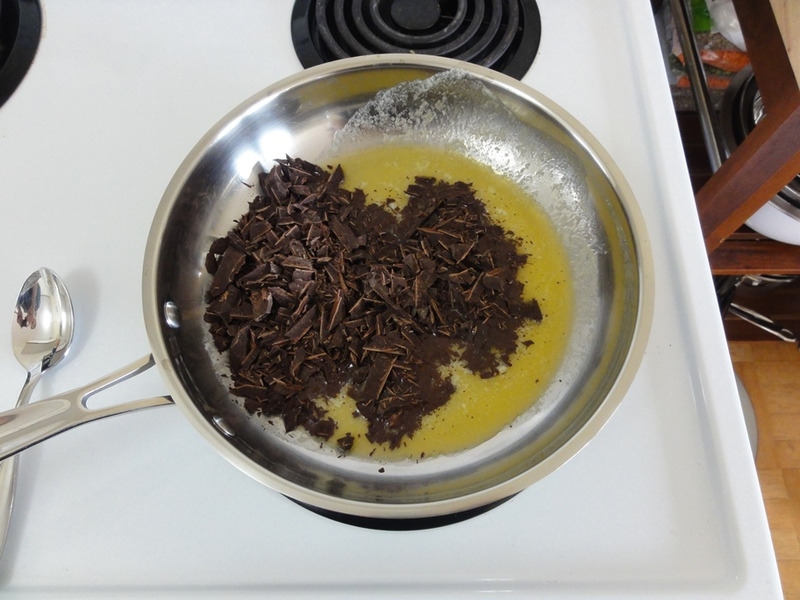 The melted chocolate should need less than a minute on low speed to combine well with the eggs and sugar, and then you can add the dry ingredients and blend again for 30-60 seconds. The dough will not be particularly stiff at this point. In the interest of adding “big crunch” to these cookies my hazelnuts do not get chopped very small, and I highly recommend this approach. The dough will start to stiffen up as it sits, to the point that if it sits for more than 20 minutes it can become hard to work with, so you want to work fairly quickly. If you get a production line going and are prepping your second sheet while the first is in the oven, and then the third (which should be your last, unless you managed to get them all on two sheets) while the second is baking, things should work out just fine. Now for the gratuitous close-up finale! Enter your email address to receive notifications of new recipes by email.